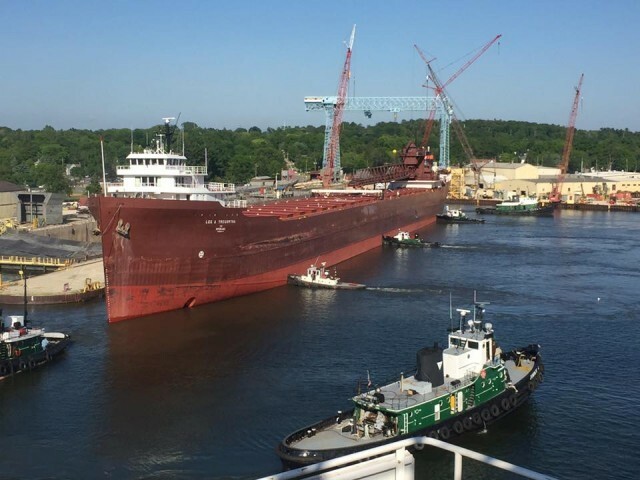 M/V Lee A. Tregurtha has a long and distinguished history since her construction as a World War II tanker. One of the most altered vessels on the Great Lakes, she also boasts two battle stars for WWII service as the Chiwawa. Her original dimensions were 501’8” x 68’ x 30’8” and her speed was 15 knots. Chiwawa served on both the Atlantic and Pacific oceans during the war and was present in Tokyo Bay during the September 2, 1945, surrender ceremony. The vessel was decommissioned on May 6, 1946, and transferred to the Maritime Commission shortly thereafter. 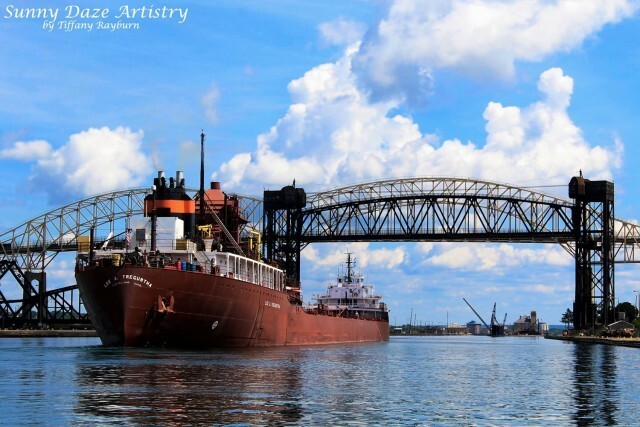 During the 1959-60 winter, Cleveland-Cliffs Iron Company purchased the idle ship for conversion to Great Lakes use. Not only was the ship lengthened with the midbody insertion, but the hull was widened by 7 feet and deepened by 2 feet. In 1961, the new ship — largest and longest in the Cliffs fleet (22,500 ton capacity, 730’ x 75’) — was christened Walter A. Sterling in honor of Cliffs’ chairman. In 1976, she was again lengthened by addition of a 96-foot midbody, giving her an overall length of 826 feet. Her capacity increased by 7000 gross tons. Two years later, she came back again for conversion to a self-unloader. She also received a bow thruster in 1966 and stern thruster in 1982. 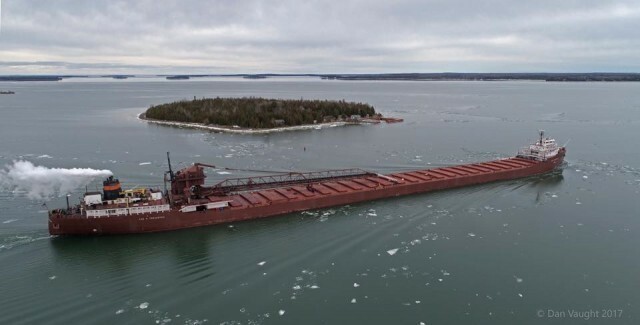 When Cleveland-Cliffs sold what remained of its fleet in 1985, the ship joined the Ford Motor (later Rouge Steel) fleet and was renamed William Clay Ford(2). 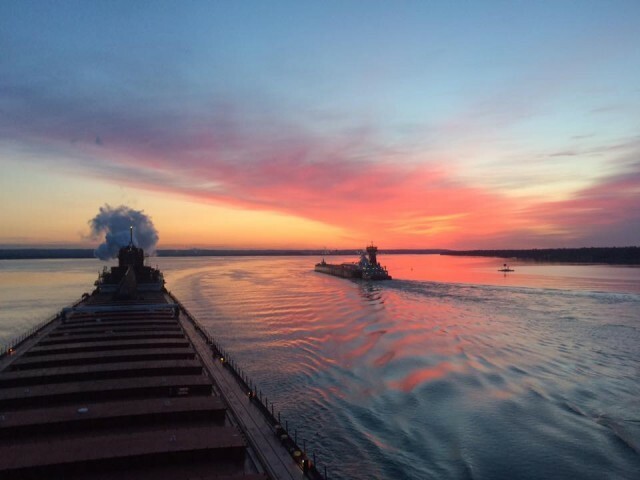 In 1989, Rouge Steel disposed of its fleet, and the ship joined the Interlake Steamship family as part of Lakes Shipping Company, Inc. She was renamed Lee A. Tregurtha in honor of the wife of Interlake’s vice chairman. 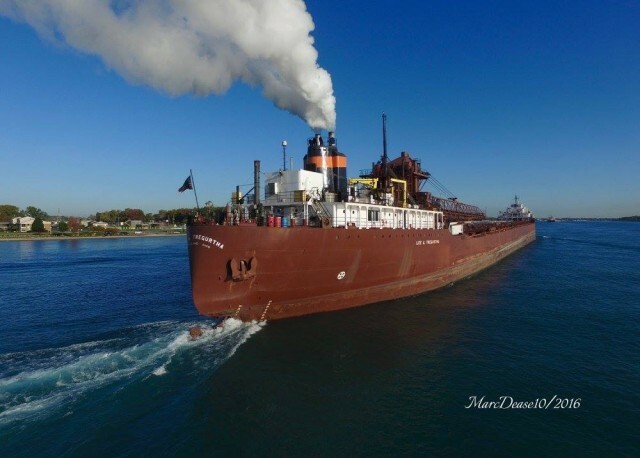 Through the 2005 navigation season, the Lee A. Tregurtha held the distinction of being the largest steam-powered ship on the Great Lakes. She displays her WW II battle ribbons on her forward cabin. In 2006, her steam plant was replaced with a modern 8040-horsepower diesel plant and a controllable pitch propeller system. She received exhaust gas scrubbers in 2016 and now has a signature steam plume.